At some point you’ll have to promote your website for business, which has a store with a physical address. The best solution of this is a local SEO. You can apply all the ordinary promotion methods that you always use, but talking about the physical address, local website optimization for SEs absolutely rocks. If you think that standard promo methods will have the same effect for local promo as for the global, you’re absolutely wrong. By adding some regional and local promotion SEO techniques, you can display store position in SERPs. 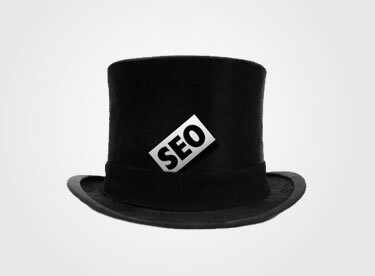 The only way of success is being fancy with local SEO optimization, as majority of customers love it. In addition, the display on the map is incredibly important if a business wants to get customers who are close to him. And one more important detail: local results appear above the normal results when searching on smartphones (to say more, mobile data traffic is growing explosively). If you’ve never paid attention to the regional promotion, it is right time to start doing it. How to do local SEO for a website? For companies with regional offices, it is important to provide the mapping information for each local office in SERP. In other words, a user, searching in New York for sportswear, is interested in seeing those pages that contain regional-oriented info about the conditions and places of sale of this product in corresponding city. Info about sales in Washington or North Carolina is out of interest. Non-targeted visitors do not affect the promotion (really, they make some indirect effect, but it’s very slight), as they do not converse to buyers. To make your offices easy-to-find in all cities of residence, you must provide a display of relevant information in the search. This will require local geo-targeting and site optimization for SEs. In recent years, growth in the audience of Internet users is defined by the regional visitors increase. In big cities, people have long been looking for goods or services via the Internet. Every day, more and more residents of regional and district centers are attached to this process. In this connection, local SEO for multiple locations techniques are becoming increasingly urgent.. If the site will be promoted for a certain region, then this knowledge will help to define the strategy of promotion more clearly. 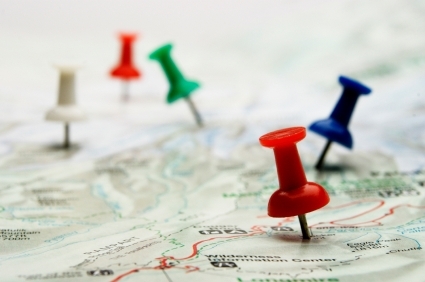 Geo-oriented requests are queries with a relevant response to user’s geographical location. Accordingly, geo-independent requests are independent of the user’s location (e.g., “how to run fast”). Geo-independent requests can be transformed into dependent ones by adding a toponym (placename). The main feature of Google’s regional issue is that difference in search results is observed only in local issue (by block markers on the map). A list of regional requests. Site semantic core must be constructed on the base of regional needs. Form the meta tags and optimize content pages by the regional needs. Map issuance. 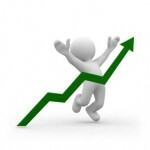 It allows you to attract additional web traffic by regional requests. Fill in the proposed fields and description, using frequency promoted queries to form the page relevance. Thus, properly compiled semantic core and company registration will help you to achieve positive results for regional site promotion. Add region (city, district) name in the domain name. It’s desirable to do it at stage of zero iteration. There are 2 ways of making a site with toponym: 1) to select a national domain and add city name to the main name 2) to register a regional domain. Use local host and site IP-address. Specify the region name in title and description tags. Add toponym to the semantic core. Mention the site name in page text. Create a page with contact info. Be sure to type the full address with postal code and telephone number. Include basic marks. Put the local maps with the location of the company’s office. Put local structured data markup in place. Schema markup, or structured data markup is a special code on your site giving search engines detailed info about your company. 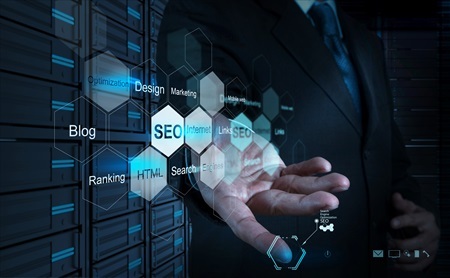 Despite the schema markup is a perfect way to put your website atop of your competitors, less than 40% of all websites on the Internet are using it. Structured data markup is what Google eager to see when checking your website content. Even more, there’s a Structured Data Testing Tool from Google that checks how properly your markup is carried out. If coding is your continuous struggle, take avail of Google’s Data Highlighter that spots and marks the needed content. Generally, promo strategy is the same as when working with a site without local orientation. SEs, entering the position of the inhabitants of different regions have launched their own algorithms to identify regional needs and even issued a number of recommendations, which are individual for each SE. But sure, we’re considering Google as the cornerstone. It has nationwide issuance. Google distinguishes between two concepts: “region” and “language”, and the region is perceived as a country. That is, the request will have same results in all areas with the issuance of the most competitive one. Therefore, the whole promotion strategy for Google optimization comes down to keywords with toponyms. As for the language, let’s imagine one of USA laundries has its own English-language website, and some UK resident has set search by language to show English websites (without chosen region). It is quite probable that the request “laundry” will bring a page of American service. So, setting up GWT, specify country and language correctly. Sites, focused on certain linguistic groups, must be separated from the main site (for example, by subdomain or subdirectory). For regional promotion in Google, register in the Local Business Center (LBC) to plan text ads strategy in a proper way. You should include keywords to company’s name. Phrases and keywords should be presented in corresponding categories. Do not use standard category – create your own. The importance of feedback. Using the LBC, you can comment the companies, presented on the map. Review is one of the trend local SEO ranking factors in 2018. Comments should be gradual, not en masse. Try to use keywords in feedback. The amount of registered information. Please fill in the maximum number of forms in details. Use promotional photos and videos – it will definitely play in your favor. Placing a map on the site is not only an etiquette feature, but also a prerequisite for the successful promotion of local SEO for small business. Make a separate website, subpage or page for each region, if your company has regional offices or interested in advancing in several regions. Perform a local-oriented on-page SEO. Customize the search engines tools for each site or page. Make unique content for each region. Backlinks are essential. They are still listed among the top factors influencing website rankings through various search engines. Importance of local backlinks in SEO is unquestioning. The essential point to remember is that local SEO means not only enhancing your DA and overall credibility, but grow your traffic and expansion locally. Support local sports team. Sponsorship of local sports teams is an easy and credible way to pull in local links and get noted on media platforms, local blogs and news. Take part in community-based events. Every new year brings in a myriad of chances to get closer with the locals, and get many social mentions. Host and create events to meet face-to-face with your prospective clients. Become a place for local meetups. The basic idea is to find the local groups that are interested or may be interested with your company. Oftentimes, people are looking for some local places for their gatherings. This is your chance to fall into the honeypot with local backlinks, traffic, and potential buyers. Create local resources pages. The idea is as plain as day. Develop a local resource page to mention there all other local businesses that may be useful for your customers. In such a manner you’ll boost your credibility with your customers and get valuable links from businesses mentioned by you. Win-win. Receive a local award. Getting any local award can introduce several local links into your backlink profile. Get in touch with local prominent figures. Spark interest among local community by publishing an article or interview with a local celebrity. 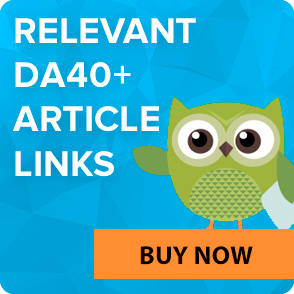 Be sure to get a lot of high-quality links and SEO value shortly after such publication sees the world. Write guest posts on local business websites. Spot the best local businesses in your area. Contact them and offer to provide a free guest post. This is how to get local backlinks for SEO legally and easily. Get registered in local business directories. Spot your local business directory and add your business in there. It’s a quick and free backlink and publicity for your site. Don’t miss the chance to get seen by the wider public. Create an account in Google My Business. Google has already connected page on Google+ and Google Places. Using Google My Business, you quickly and easily update the info about your business (address, contact information, website). Account allows easy communication and Google Maps navigation use (business gets geotagged map). Finally, on Google Reviews tab users can post reviews in order to help others to make the right choice. What is important? Firstly, an account on My Business must be certified by the owner of the company. Secondly, business name should include keyword. Thirdly, the user must have easy access to the business from the search place. Properly issued account can improve the SERPs position by 10­–15%. Create pages on Yellow Pages, Yelp, Business Pages and on other listings. Key information must be the same, because it can improve the results in a local search by approximately 15%. We also note that SEs take into account the reviews of the business for these resources. Place company’s address, name, telephone and website on the main site – this will help Google to integrate and correlate the results of business, improving local search issuance. Reviews number increases by Google My Business, plus third-party resources (Yelp, BBB etc.). Reviews must be left by real users without manipulations Google (moreover, tricky website may lose position in SERPs). CTR plays quite a big role in local issue, so make sure to find the right keywords. Social signals are upcoming trend, so likes, +1 and followers may increase the site local search position by at least 5%. Learn more about effective social media for local SEO. Backlinks can’t be written off, as they can improve the issuance of approximately by 25%. But, unlike geo-independent backlinking, building local backlinks meets a lot of difficulties when performing by amateurs. Google penalize artificial promo in any of its displays. 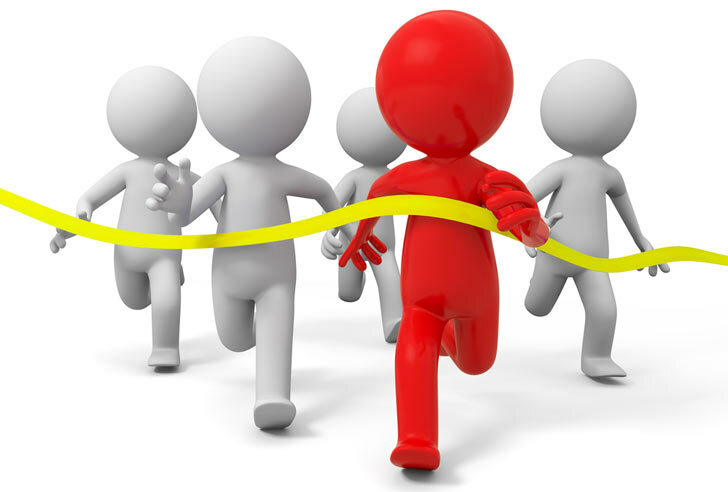 We offer you the help of a premium quality to avoid sad consequences of Google filtering and increase site rankings. What makes difference? It’s definitely the credibility of referring domain and backling anchor, as well as the number of outbound link from the referred page. LinksManagement provides backlinks from relevant resources of high reputation. Some other moments to remember: H1/H2 tags should contain the city (district) name; micro-structured data should definitely be used for address and any other contact information. The company meets the specified category. Company’s physical address is set. Citation on the authoritative and relevant sources. Easy-to-company’s coordinates and phone number. Google’s and third-party sites’ reviews. The presence of a physical address. Number of references in the catalogs and “yellow pages”. The remoteness of specified place from the location, specified in the request. The distance between users and place where the company is located. The number of mentions in the single-industry resources. Presence of city name in pages titles. Number of reviews on external resources. Page authority, specified in Google Places. Online data does not match with the company’s real one. Company name contains too many keywords. Inconsistency of specified name, address or telephone number. Presence of several duplicated business pages. Discrepancy of the phone number, specified in Google Places. Information on violations of Google instructions on the website. Information about the harmful content on the company’s website. Search for quotes with Whitespark. Run two reports: one for checking the current quotes, and the other to find citation opportunities (it’s probably the best tool to find them). Setting up campaign with BrightLocal. You get 3 info tabs: active quotes, pending quotations and potential citations. Keep specific comments on each quote that really helps to keep track of your efforts for long. When adding new quotes from the Whitespark list, add them to special tab for the delayed citations. When you rerun the report, all pending citations that have become active move to “active” part of your list. Repeat these steps. You will add more links further, but always use Whitespark to test new features and any incorrect information with addresses that will probably appear later. It’s an integral part of the regional site promotion, but they are also important for local transitions. Set the review page. We recommend you to adjust the page for all visitors in “domain.com/review”. It is convenient and easy to remember. Furthermore, it’s a simple user-friendly URL. Warn customers that to leave a review they need to have an account with Google. Focus on Google reviews at least until business has less than 10 ones. Once you have 10 reviews, offer other options to clients. Create a brochure with an overview. Instead of showing directions map on your brochures, just redirect clients to “domain.com/reviews”, created before. This way you’ll create a really good brand postcard for distribution, and regardless of your strategy review, it will never change. Hand out cards to every customer and ask them to leave a review or at least short comment. We recommend you to give a card at the very last moment of interaction with customers, so that the card remains in memory. You can stimulate customers to write reviews, but do not overdo: steady stream of no-flood reports is prevalent. Do not use any manipulations for improving search position. Creation of virtual offices does not promise anything good to you. Typically, these practices lead to a serious drop. Do not create websites with non-existent address. Firstly, it’s just not fair to your potential customers. Secondly, you violate the rules of Google, when creating an account on Google My Business with these addresses. Try to avoid negative reviews. There are always unhappy, nevertheless do everything in your power to maintain good relations with customers and users: negative reviews reduced site SERPs results. Try to convince a client to remove a negative review. You definitely need to learn local SEO apart from classical promotion, as otherwise you’ll see only one side on the moon. The majority of site owners often make mistakes, thinking that in order to successfully organize a process, you only need to register in most important local business directories. Accuracy and consistency. According with statistics, 85% of small businesses say that visibility in local directories is their priority, while only half of these companies ever update their information in the online catalog! 50% know that they have made no precise information in the catalog, but 70% say they simply do not have time to update it. The main negative factor for local ranking is false contact information. Local SEs use NAP (name, address, phone number) to verify the existence of the business. SE must be confident in existing of yours to confirm your presence in local business. Thus, carefully choose company name and avoid grammatical mistakes. Legal business should have all three parts of NAP info. 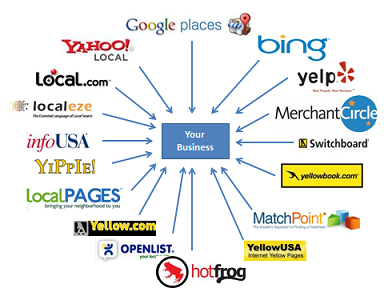 Detailed SEO local listings. New info forms a local SEO “wave”. The hyper-local SEO. This topic is still in its infancy. Google revealed that it uses, or at least tests the algorithm of neighborhood. Local neighborhoods difficultly fit into the SEs algorithm. They have no clearly defined boundaries and names. There are so many “informal” names of areas and territories, that local people can garble them with the official names. In addition, they may not know exactly where one local quarter ends and another begins. Therefore, “neighborhoods” are badly ranked. But as it’s an upcoming trend, you can be among the first involved in this algorithm. Hyperlocal search becomes more and more important, so do not neglect its possibilities! 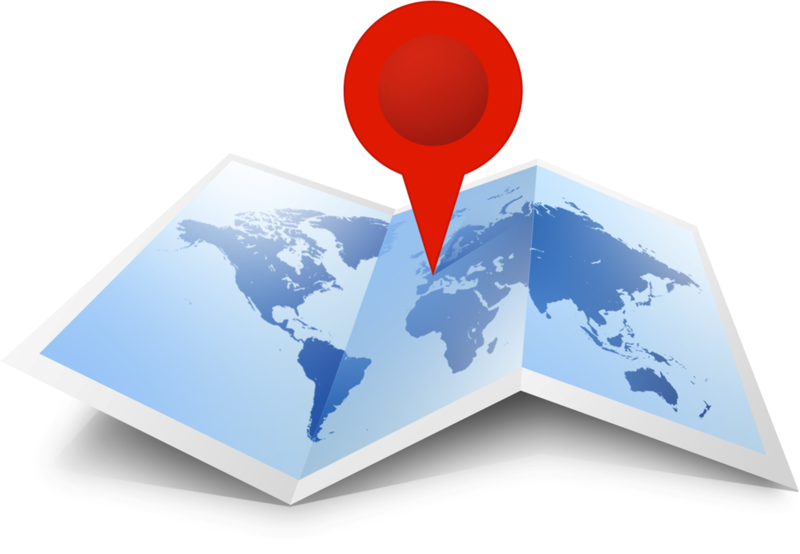 What if a business is located in one place, but you need high search position in other regions? Create unique landing pages for targeted regions and personalize them as much as possible. In this way you can achieve good results even in areas where your business is not presented physically. Also we recommend you to use directories like Angies List. This method suggests target city change with content customizing. In most cases this method will not work either in terms of attracting clients, nor in terms of improving search position, but with Angies List, resource age and reputation is doing its job. Probably the best solution of the problem is to hire a representative in the city, who will lead a new page, unique it and place necessary company’s data. Undoubtedly, geo targeting will become better in future. If today SEO is actual only for regions and cities, soon it will become a reality for regions and microdistricts. Today a lot of regional topics have low competitiveness, therefore, their promotion is not too expensive and complex, and the effect can be observed quite fast. The most important is a planning stage, when you choose promotion strategy and construct a semantic core. To achieve effective local SEO , we suggest using an integrated approach, which combines promotion of regional needs and optioning context ads with targeted displays for local users.